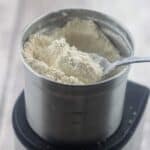 Powdered coconut sugar – Learn how to make this 2 ingredient paleo friendly powdered coconut sugar using a spice grinder for all your baked goods. I’m so excited to share this tutorial post with you all. It’s been quite some time since I posted a “tutorial” or “how to” on the blog but this one in particular, I thought would be worth while and since it’s so easy and yet important especially if you enjoy baking and looking for more healthier options, then this recipe will be a keeper. I have a sweet tooth like the average person and I’m also partial to some frosting on my cupcakes but what do you do if the recipes calls for icing sugar that is bleached and totally refined? Well I have the perfection solution for that, learn to make your own powdered coconut sugar from scratch. My powdered sugar recipe calls for my favourite low glycemic sweetener which is coconut sugar. Although I haven’t tried it myself you should be able to use any granulated low carb/GI sweetener of your choice and the good news is you’ll only need 2 ingredients – coconut sugar and tapioca starch meaning you can produce the finished results in a matter of minutes. Feel free to double or triple the batch accordingly to your specific needs and use in place of confectioners sugar. 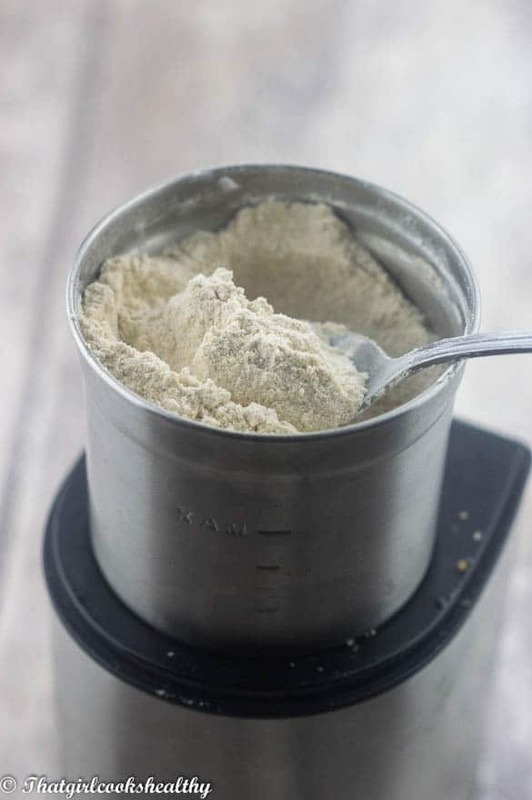 Just make sure to use a high speed blender (vitamix dry container), spice/coffee grinder or a food processor that has the ability to finely mill the sugar into a powder form. Watch how to make powdered coconut sugar – the steps!! 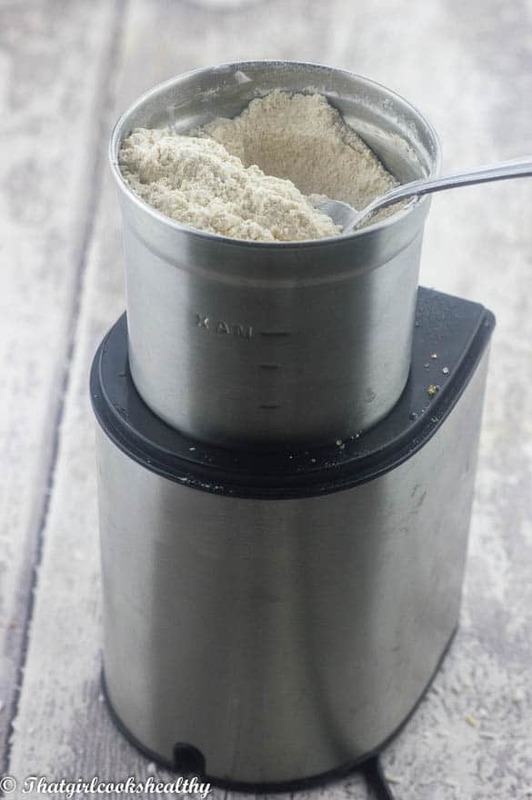 Combine the tapioca starch and coconut sugar to the appliance of your choice – vitamix dry container or grinder works best. Proceed to process the ingredients until a powdery sugar is formed. Test the texture by using your fingers to check for any grittiness, if so continue to process until an ultra fine powder is achieved. Store in an air tight container/ glass jar with lid. Thanks for your nice recipe. I’m also a big fan of cupcakes 🙂 I’m going to try it soon. Such a nice recipe. Honestly, I love baking food as well my kids. Will give a try in the upcoming holidays. Thanks for sharing, Charla.